Our core competencies include the development of table polishing, flatbed polishing or long polishing machines. and long polishing machines for component lengths of up to 6000 mm. With these machines, almost applications where flat or long components are polished or provided with decorative surfaces can be polished very economically. The field of application extends from the polishing of roof rails or window moldings in the automotive sector through furniture fittings to the polishing of high-gloss paints on wooden surfaces in kitchen fronts. 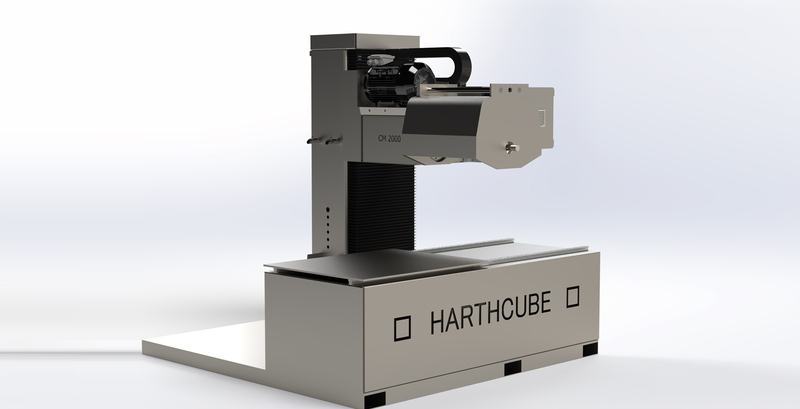 The “Harthcube” is a very compact and modular polishing machine that compared to other systems used today between a polishing unit and the maximum equipment level by two opposing Z axes and up to 4 arranged through but centrally driven double polishing spindles in a very compact space and can accommodate up to 8 polishing disc packs in symmetrical load distribution. 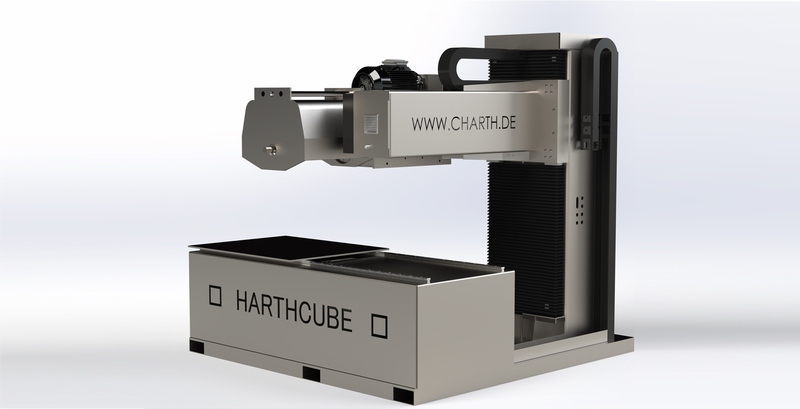 The Harthcube requires a feeding system for the parts to be polished, which depends on the geometry of the parts to be polished and which is similar to the systems available today, i. one or two traversing tables as in the case of a table polisher or a rotary system as in the robot cells. The field of application of the Harthcube can be used in this design for all parts to be polished in length. For parts that can be stretched between the tips and polished all round to high gloss (shower cabinets, towel rails plumbing, furniture handles, curtain rods, etc. ), the solution comes with polishing units used from the bottom and top are used simultaneously. For all flat parts (countless applications) that need to be placed on a kind of table, the variant with the polishing units arranged from above will be interesting. 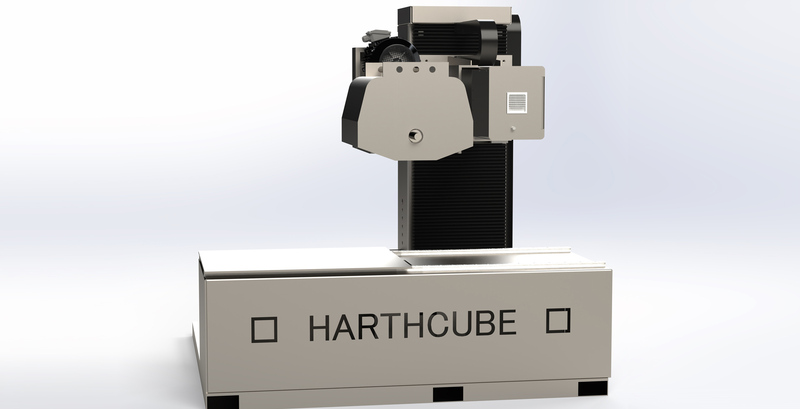 Thus, the “Harthcube” is offered as a modular system in the customer can choose how many polishing units this is to be equipped. More details on request.